OLYMPICS: Serena Williams Brings Crip Walk to Centre Court? What Did She Mean? LONDON, ENGLAND – The Queen of England was coming to Wimbledon for the first time in 33 years, and it was a special moment that Serena Williams opened up for. She was a little giddy and a lot respectful about the chance to curtsy for the Queen on Centre Court. That was two years ago, and when the big day came, Wimbledon officials placed Williams out on Court 2, where the Queen wouldn’t see her. Instead, Serena was on a court of the people, not a high-dollar show court. Williams never complained, but instead stayed after the match and signed autographs for kids who couldn’t normally see her. So let’s be a little careful about how far we go with Williams’ little victory dance Saturday on Centre Court, in front of royalty, after winning the Olympic gold medal. She beat Maria Sharapova 6-0, 6-1 in maybe the greatest match of her career, and surely the most dominant week. The Great American Tennis Story, from Compton to Centre Court, had her own crowning moment. And instead of a curtsy, she did a Crip Walk on Centre Court. It’s a hip-hop street dance move, done by gang members over dead bodies. It was started in Compton by gang members. But it has, to some extent, begun to break into pop culture, though MTV once declined to show any videos that included the walk. WIMBLEDON (Aug. 1) — It’s getting hard to watch Andy Roddick play tennis. You can’t figure out what his spot is anymore. What his role is. Is he the great American tennis star? No. Well, sort of, maybe. He isn’t going to win another major or get anywhere near the mountaintop again, but he’s still the only men’s player to be a star in U.S. pop culture, married to Brooklyn Decker, swimsuit model. Can he win a big match? Maybe one. He’s not coming, he’s not going. He hasn’t stayed too long, but it’s hard to know what he’s staying for. Maybe he just likes it. But he’s sort of just suspended there, killing time. And it could go on, uncomfortably, for a while. Roddick is going to be a great TV analyst. 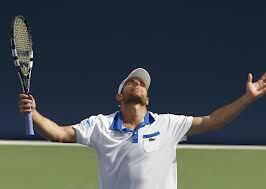 That’s where he can mean the most to U.S. tennis now, if he brings his sharpness and his brutal honesty with him. You might not know it, but privately he is thoughtful about all sorts of issues. His sarcasm and meltdowns can become selling points for TV, too. LONDON (July 31) — Serena Williams is smart enough to figure this out, experienced enough to hear warning sirens. With her unfiltered thoughts, she has inspired people at times, embarrassed herself at times. She has traveled the world, lived in public half her life. She’s 30 years old. So despite having nearly 3 million followers, Williams, the sports world’s Queen of Twitter, recognizes that this isn’t the time to start talking off the top of her head. These are already the Twitter Games. The Solo/Lolo Show has dominated US Olympics talk. Soccer player Hope Solo went on a Twitter rant against Brandi Chastain. 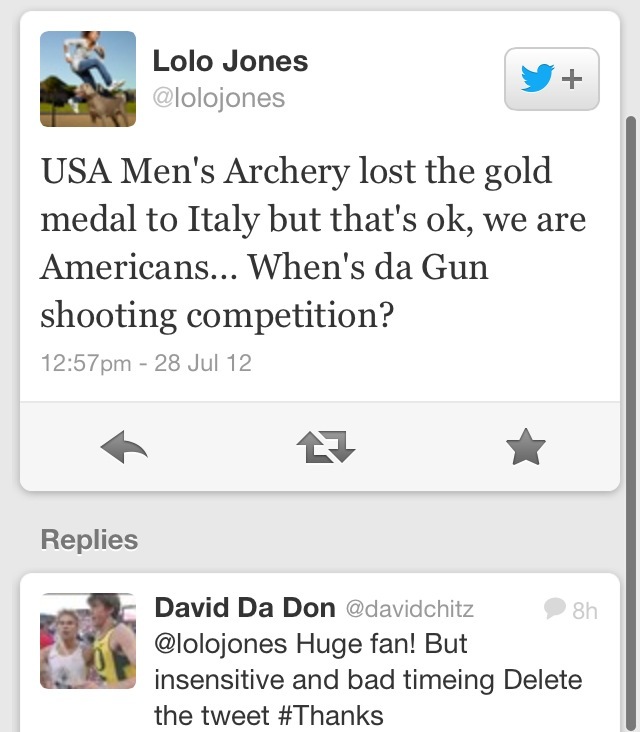 Hurdler Lolo Jones made an insensitive joke on Twitter about the US and guns. And on Monday, a second athlete — neither are Americans — was kicked out of the Olympics for racist comments on Twitter. Should athletes be kicked out of the Olympics for racist tweets? REPORTING FROM WIMBLEDON, ENGLAND – If you still believe in the Olympic spirit, then you know it hasn’t been entirely hijacked by corporations and commercials and made-for-TV and shoe-company showdowns. You know it can have meaning bigger than gold, about cultures coming together, about celebrating the best of humanity. Sania Mirza understands. And when three male tennis players from India were bickering, looking small and refusing to play with each other in the Olympics, Mirza was offered up as the solution, placed in what amounted to an arranged tennis marriage for the Olympics. 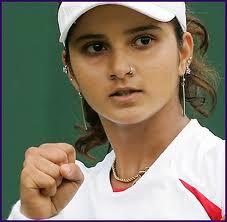 But the All India Tennis Association messed with the wrong woman. Calling the arrangement “blatant humiliation of Indian womanhood,’’ Mirza courageously, gracefully and very publicly wrote a letter that served as a public statement and a reminder of the values of the Olympics. Mirza was the only one given real reason not to play. Yet she’s also the only one who didn’t threaten to pull out. 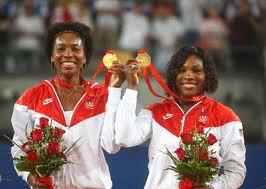 Williams Sisters Haven’t Met Olympic Eligibility. Should Rules be Bent to Let Them Play? Serena Williams traveled through Frankfurt all the way to Kiev and then to Kharkiv so she could play in the Ukraine this past weekend in a consolation match for a team she doesn’t care about on a surface that doesn’t suit her in an event she has spent years avoiding. She also had a sore ankle. It’s the same team Venus Williams traveled to Germany with last year, the U.S. Fed Cup team, saying she was available to play even though she had no intention of playing, and was too hurt to play, anyway. There is a game being played here. Not tennis, but politics. The U.S. Tennis Association and the Williams sisters are attempting to manipulate rules and find loopholes so the faces of the sport over the past decade can play in the Olympics. Neither Venus nor Serena has met the requirements to be eligible for the London Olympics this summer, and neither can meet them before the games. The rules and requirements were set long ago by the International Tennis Federation, and the sisters were the ones who did not follow them. So there is a real possibility that neither will be allowed to play. REPORTING FROM WORCESTER, MASS. (Feb. 10, 2012) — This isn’t the way the Great American Tennis Story is supposed to go. Venus Williams’ story isn’t over yet, but it looks like it’s going to have the wrong ending. You’d like for it to end with a bang, with some kind of glory. She has meant a lot to a lot of people. “I don’t know if I will ever feel normal again,” she told me this week at the US Fed Cup victory in Worcester, Mass. Roughly half a year since she last played on tour, since she finally was diagnosed with Sjogren’s syndrome and began treatments, Williams is about to try to come back. She hopes to get into this summer’s London Olympics, but she will have to grind her way through the most physically demanding part of the season even though she doesn’t know how she will feel tomorrow. Maybe the glory is in the way she’s fighting the disease that has stolen so much of her energy. She has changed to a vegan diet, and she says the medicines slowly are making her feel better. But what does “normal” mean for Williams?